UK removals is a Blackburn based company, fully insured, providing furniture removal services throughout the Northwest, to anywhere in the UK. Our drivers and porters are very friendly and helpful, with plenty of experience in looking after your valued possession with care. All items are safely wrapped and secured in the van using removal blankets and ratchet straps where needed. So let us take all the hard work from you. Along with house moves we are also regularly collecting/delivering furniture from local stores and carrying out eBay collections for our customers so why not contact us for a free quotation. We pride ourself in providing a service that is cost effective, friendly and reliable. We will do whatever it takes to make your relocation as easy as possible. 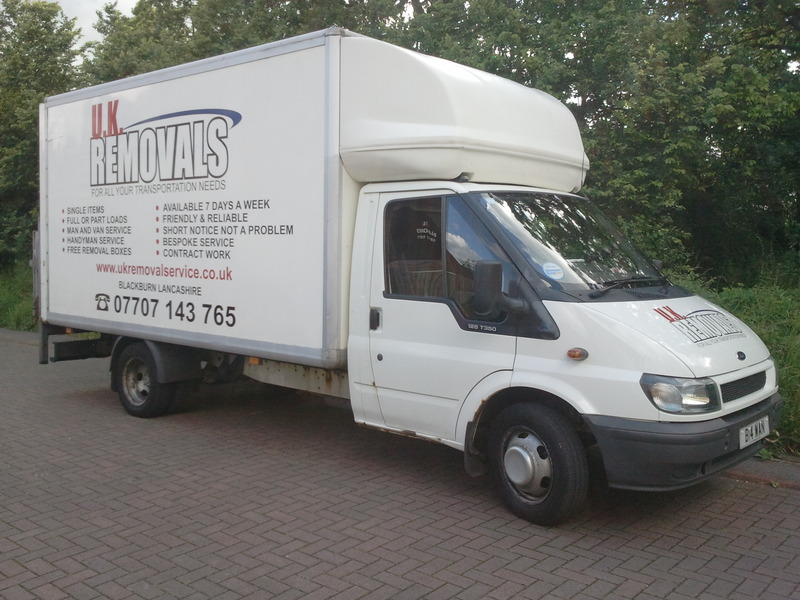 We manage all kinds of removals, big or small to give you that piece of mind. U.K.REMOVALS is a reputable company built on customer recommendations. Customer satisfaction is our top priority, that�s why we have excellent reviews and many happy customers.